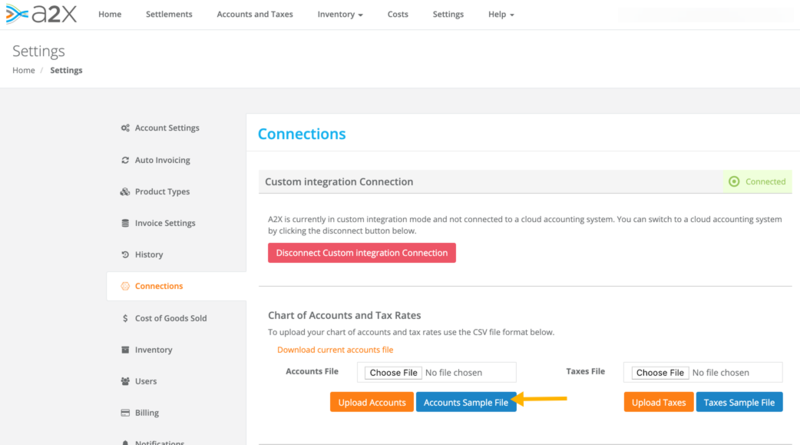 Building on the previous guide that shows you how to set up A2X for use with manual connections, in this article we will show you the step by step to create your chart of accounts csv file. 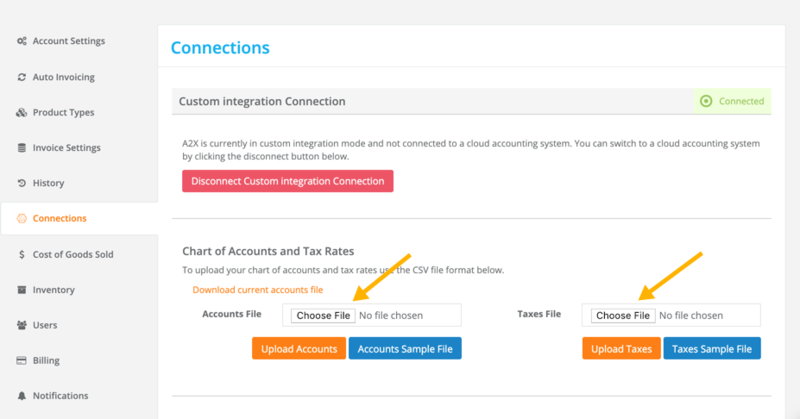 Got to A2X > Settings > Connections and click on the blue "Accounts Sample File"
Choose your file, and click on the orange "Upload Accounts" button. 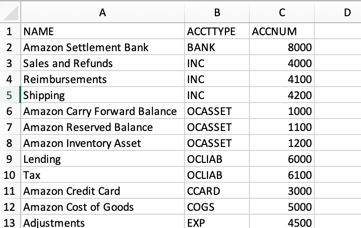 Now you're ready to map your accounts!